For some band members, venturing into the world of going solo can be difficult and will ultimately bring comparisons (usually negative) to the work produced with the band. 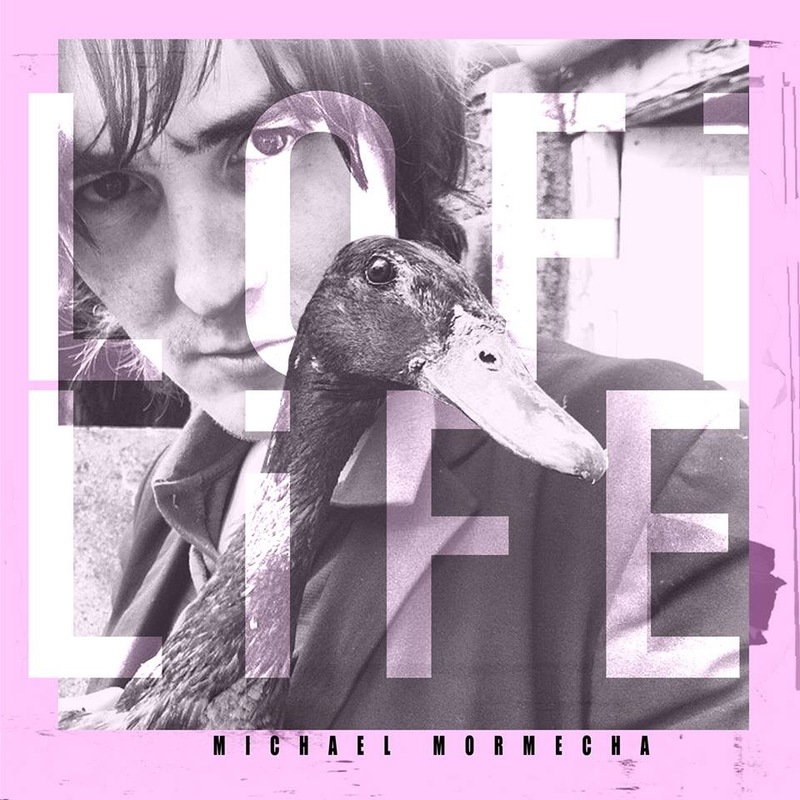 On his solo debut, Mojo Fury frontman Michael Mormecha produces LoFi Life, an album full of experimentation and songs drenched in deep thought, to great avail. Opening track Restless is a typical heartbreak ballad, yet the effect that only his voice and a few plucks of the guitar produce is a far cry from the usual manufactured stuff. Its rustic feel is created by it sounding like it was recorded on an iPhone or something and the vulnerability in his voice add to the emotion of the song, making the emotion sound genuine. Its softness is exacerbated by the juxtaposition of the track with follow up Happily Lost, a heavy fuzz filled song that sounds like the inside of an angsty teenager’s mind. The track is by far the highlight of the album, with the lyrics telling the joy of traipsing through life with no definitive purpose, the feeling intensified by the increasing cries of Mormecha. The album seems to lack musical direction although it is a credit to Mormecha’s talent that it still works as a cohesive piece. I Know What You’re Looking For is a funk filled melody driven by a heavy guitar with vocals reminiscient of Come Together that lace their way onto it whilst The Opera House is the love child of T-Rex and Muse with quickfire lyrics. Vicious Delicious is a cool ’90s stoner track filled with lyrics of self consciousness, only adding to the list of cool music that is relevant to this generation. The track itself represents the fickleness of the 21st Century; it’s introduced by electronic drums before descending into Calfornia rock mode. Old Moon is an unsettling track ushered in with a deep voice that sets the tone for the rest of the track. Mormecha keeps all the melodies on the album relatively simple, particularly on reflective tracks such as this, but he never fails to keep your interest and there is always the perfect balance between the lyrics and the melody; one never benefits at the expense of the other. Closing track Kaleidoscope is an epic ballad that disappoints slightly as it gives in to the generic formula that dominates music today. Nevertheless, the melody from four minutes onwards is undoubtedly brilliant. If this album is anything to go by, maybe Michael could do us a favour and not keep such treats locked away for so long next time. ‘LoFi Life’ by Michael Mormecha is released on 9th May on Swallow Song Records.